From Aug. 5 to Aug. 21 the world will be watching Brazil as it hosts the Games of the XXXI Olympiad; and some of the biggest names in technology are helping put on the show. More than 10,500 athletes from 206 countries (including 555 U.S. Olympians) are expected to compete in 28 sports and 306 events at 37 venues over the course of the 16-day event. Technology companies aren’t just supplying technology; they’re also helping to sponsor the games. Atos, a European IT services company is a Worldwide Olympic Partner; Cisco is an official Olympics supporter and Microsoft and Symantec are official Olympic suppliers. Below is an overview of some of the work various tech vendors are doing. Check back throughout the Olympics for updates. As the official supporter and supplier of networking and enterprise servers for the Olympics, Cisco has installed more than 60 tons of equipment throughout the country to build out a network for the games. This includes all networking infrastructure, services and support for all 37 competition venues and another 183 non-competition venues, such as the lodging, media centers and training facilities. There are more than 100,000 network ports, 5,000 access points and 150 firewalls powered by more than 400 Cisco UCS Servers. This interactive map shows some of the details of Cisco’s technology infrastructure installations. NBC is the official U.S. media partner of the Olympics and will be using Microsoft Azure’s IaaS cloud to help stream their coverage of the games on NBCOlympics.com. Microsoft’s Azure cloud will provide encoding and hosting services for NBC videos. NBC is expected to generate 4,500 hours of content. Microsoft is also partnering with Adobe to authenticate users who want to stream the content live or on-demand through a variety of platforms, including Android, iOS, Roku, Amazon, Windows 10 tablets, Xbox, Windows Phone, PCs and Macs. Google has integrated a variety of Olympic-related news and content directly into its search feature. 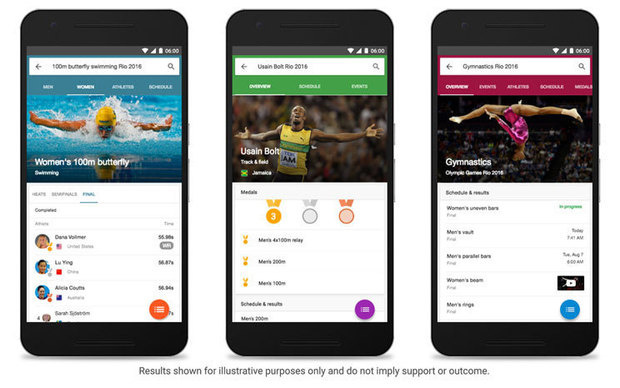 Using the search engine from any browser, or the company’s Android or iOS apps, users can get event and broadcast schedules, medal counts and athlete information. Select broadcast highlights will be available on YouTube and users can take street-level tours of Rio de Janeiro and various Olympics venues in Google Maps. Rio de Janeiro’s RIOgaleão-Tom Jobim International Airport will be the main hub for travelers to and from the Olympics. The airport is expected to process 1.5 million people in August, with a peak of 90,000 per day, which is double its regular traffic. To prepare, the airport’s IT team worked with HPE’s Aruba Networks (HPE bought Aruba last year) to outfit the airport with state of the art networking equipment. New access points, controllers, switches and network management software were all installed at the airport, along with 3,000 Aruba Beacons, which will help deliver a new customized mobile app designed to give visitors up-to-the-minute flight status and assistance. European IT integrator Atos has built a Games Management System, which will support the planning and operations of the games. It handles information such as athlete qualifications and entries, as well as a portal for recruiting the 50,000 volunteers and checking them in during the games. Meanwhile, another Information Diffusion System will deliver real-time results to the Olympics community, including the media. This includes a commentator information system for broadcasters, as well as portals for judges, coaches and sponsors. 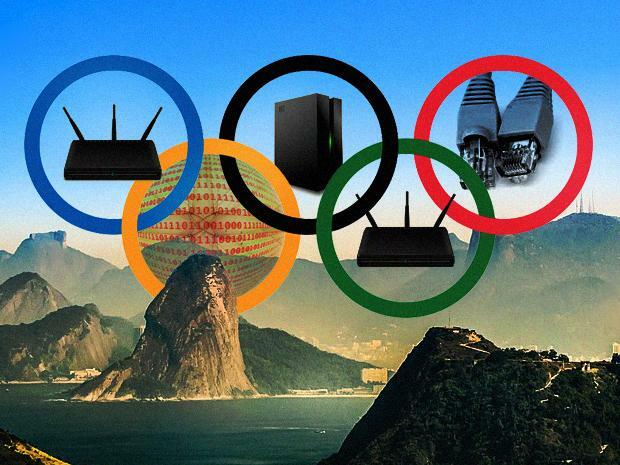 WiFi could be a challenge in Rio with the millions of fans descending on the city. Linktel is partnering with Aptilo to offer a subscription-based, encrypted WiFi service for the month of August for only $9.90 for unlimited use. 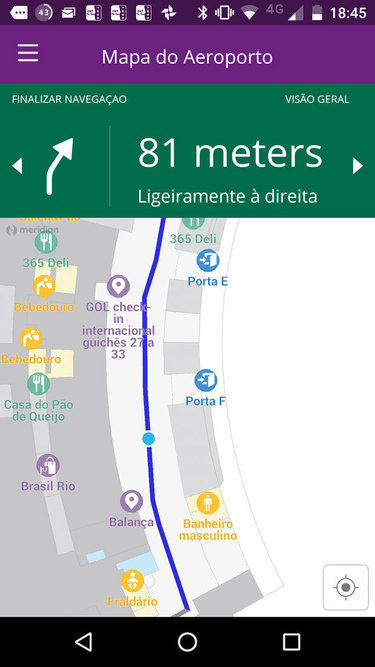 For the past four years Linktel has been building out the WiFi network in Brazil and now has access points at 6,500 locations, including 60 shopping malls, 30 airports, 140 restaurants and 180 cafes. Aptilo is a Sweedish-based carrier. NBC will be broadcasting the Olympics in the U.S., but telecommunications provider Ericsson will be playing a big role in making sure video content recorded in high definition in Brazil is delivered to U.S. homes. NBC has contracted with Ericsson to provide video distribution services using Ericsson’s video compression technology. Ericsson will use a combination of video processing and advanced modular receivers to deliver the support. Ericsson will also have engineers on site. It’s the sixth time NBC has contracted to work with Ericsson, dating back to the 2006 Winter games in Turin, Italy.